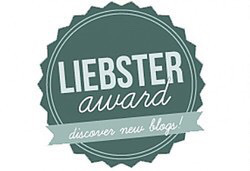 I've been nominated again to do the Liebster Award tag, getting to know other bloggers. Want to see my answers to the questions last time? Read here. I was nominated by Lola from the awesome blog Arrows and Colors. to do this tag, so here are my 11 facts about me and the answers to her questions. 1. What are your top 3 favorite blogs? My top three would be Lady Writes, Sprinkle of Glitter and ThatsoBee. Probably Max Joseph from Catfish, the silver fox! 3. What's behind your blogs name? I don't really know to be honest, I was thinking of something to do with music that would be really catchy. 4. Do you have any advice for those bloggers whose first language isn't English but they post in English? Keep practicing, I guess. I'm not great at advice. My favourite book would have to be The Art of Being Normal by Lisa Williamson. It's such an inspiring story and really got to me, I still think about the story now even though I read it months ago. 6. Where do you get motivation from? I get my motivation from the desire to succeed (or at least try to) at any opportunity I'm given. For example with my blog, I'm motivated to write posts because it's therapeutic and I want to try and write the best posts I can. 7. Favorite place you're ever been to? That's a tricky one, as I've been to so many different places. Probably New York, as it's a place I've always wanted to visit. I'm actually heading back there later this year, so expect a blog post around September time. 8. What is your favorite post so far on your blog, and why? My favourite would have to be my Busterfest post - that was an awesome day working with some great people and getting to see a whole host of bands and acts, as well as being my first ever festival. 9. How do you think your blog is doing so far? are you satisfied? I think it's going well, I'm not really looking to be a full-time blogger or anything, so I'm not really looking that closely at the stats. My favourite song changes everyday. I've been enjoying Shawn Mendes' 'Stiches' a lot, Lifehouse's Out Of The Wasteland album among others. I speak English and very basic French, so only 1 really. 8. This blog has been around for nearly 4 years, although I only took it seriously and started posting more regularly in September 2015. 9. I watch a lot of YouTube and YouTubers, my favourites being Jim Chapman, Alfie Deyes (PointlessBlog) and Shane Dawson. 10. This Morning is my guilty pleasure show (I get up at 10:30 to watch it every morning when Phillip and Holly are on the show). 1. What's your favourite makeup product you've used so far this year? 4. Do you have any guilty pleasures? 6. What's your favourite type of blog post to read? 7. Favourite location to visit? 8. Do you blog full-time? If not, do you want to in the future?